Home News Nicaragua: 23 Dead In Four Days! The violence in several cities of Nicaragua has become critical in recent days, and between Wednesday and Saturday, at least 23 people died due to repression and clashes between police, government-related groups, and protesters. Violent actions occurred in the cities of Managua, Masaya, Chinandega, and Estelí. Since April 18, when the protests against the government began, at least 111 people have lost their lives, according to reports from human rights organizations, such as the on the scene of the five deaths in Masaya Saturday morning. Though numerous reports indicate Vera was another victim of the clashes, however, the facts indicate American was ambushed after receiving a call that a friend was in need of help. The body was stripped down to his boxers and his vehicle set on fire, indicating the murder was may have been a hit and not related to ongoing clashes. Fateful day. 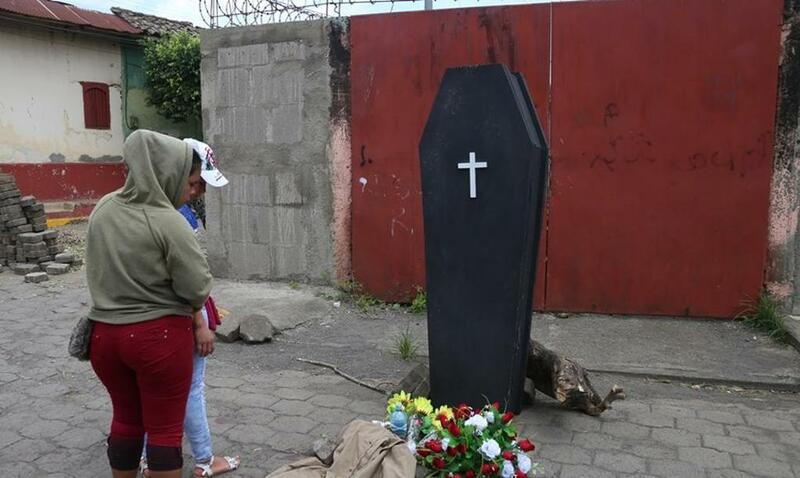 The highest number of deaths, 16, was recorded on Wednesday, May 30, Mother’s Day in Nicaragua. That day in Managua there were nine dead, shot in the march in solidarity with the mothers of the victims of the protests of April and May, in the vicinity of the Universidad Nacional de Ingeniería (UNI) – the National University of Engineering; Four in Esteli; Two in Chinandega; and one in Masaya.